scrappin it: Sizzix Fresh Vintage Blog Hop: How do you feel? 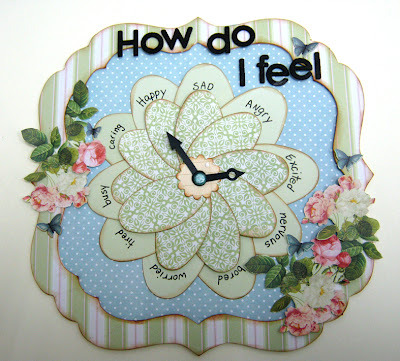 Sizzix Fresh Vintage Blog Hop: How do you feel? Welcome to the last Sizzix blog hop featuring the new Fresh Vintage dies by Eileen Hull. 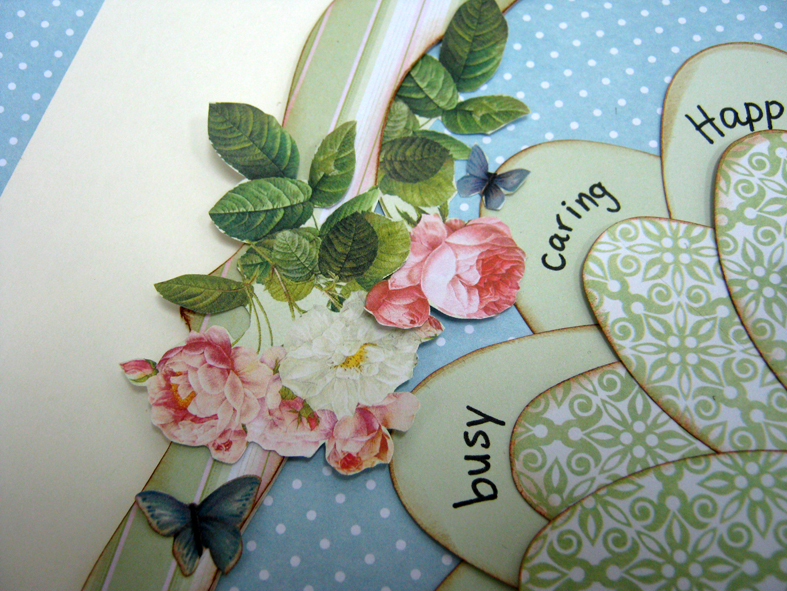 Today we are using the beautiful, versatile Petal Flower die. You may ask yourselves what possibly can the designers come up with now, what can they create from a flower that we haven't already seen? Well, to answer this question just keep on hopping to see all the wonderful projects created by these talented designers. To view the hop, you can click on the Fresh Vintage blinkie on the sidebar. This will take you around to all of the designers on the hop. You can see projects that have already been posted here. I have decided to use the flower not as a flower but as a clock, a mood clock! I can turn its hands according to my mood. It came out so pretty that it will serve another purpose, to improve my mood on a bad day! 1. 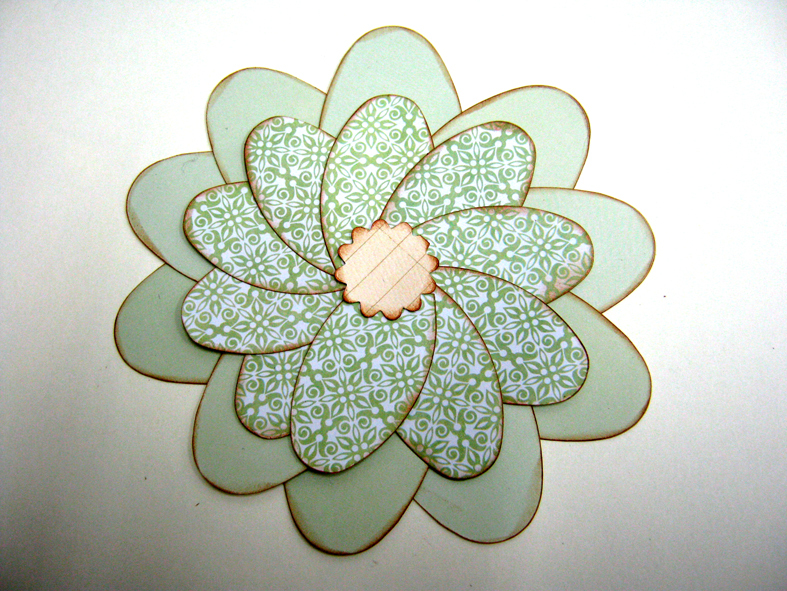 Cut ten petals of each size and two small flowers from a pattern paper. I used some lovely papers from Grant Studios. 2. Adhere the large petals to the small flowers. Adhere the small petals on top of the large ones. To finish the flower adhere the small flower in the center. 3. 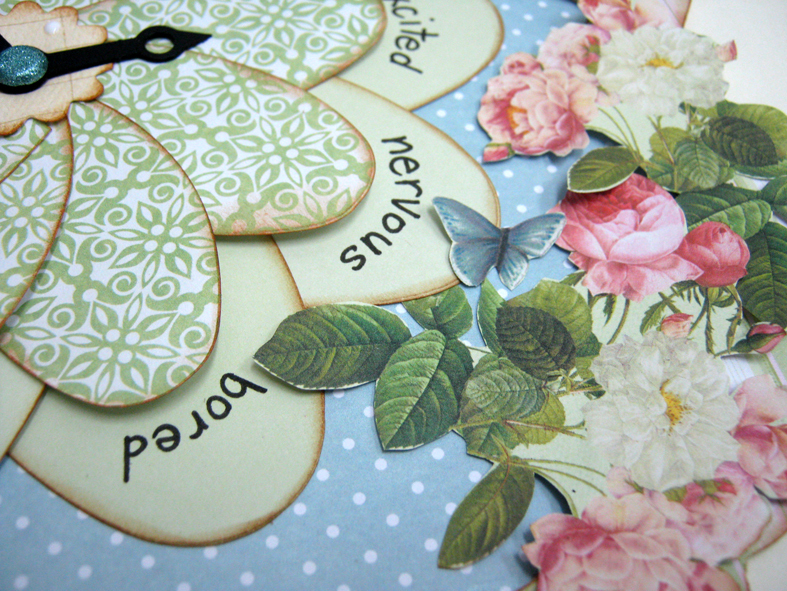 Write different moods or feelings on the petals. 5. 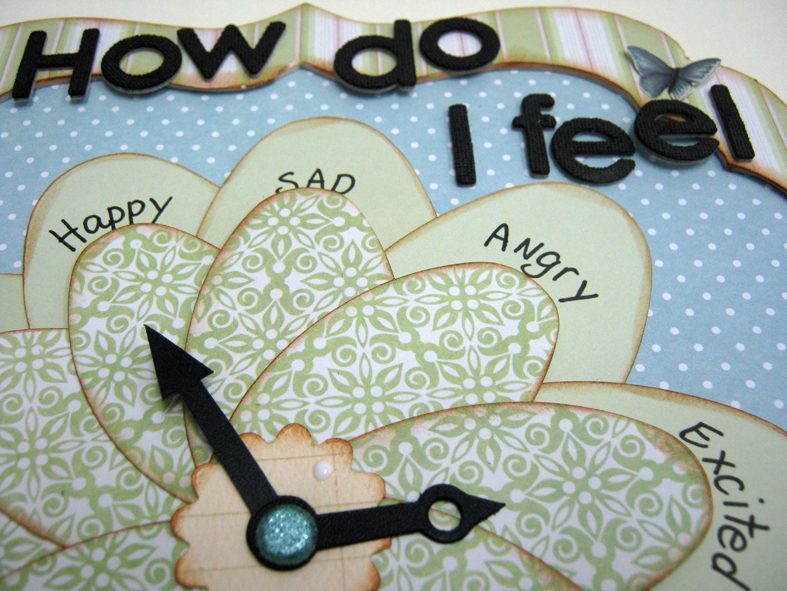 Create a 3D frame and adhere to a background paper. 6. Add a title and embellishments. I hope you have enjoyed this blog hop as much as I did! Very, very pretty! Thank you for sharing!! What a cool idea! Love the papers! רעיון מקסים וביצוע יפהפה ועדין! wow how cool is this. 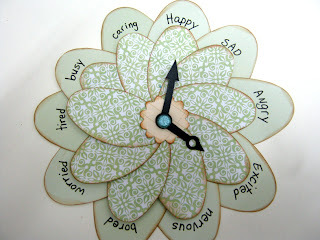 love your Idea we all could use this clock. the colors are perfect and the way you layered was great. adding the mood words was a great idea. love the papers. adding the flowers gave the cool clock that pop factor. 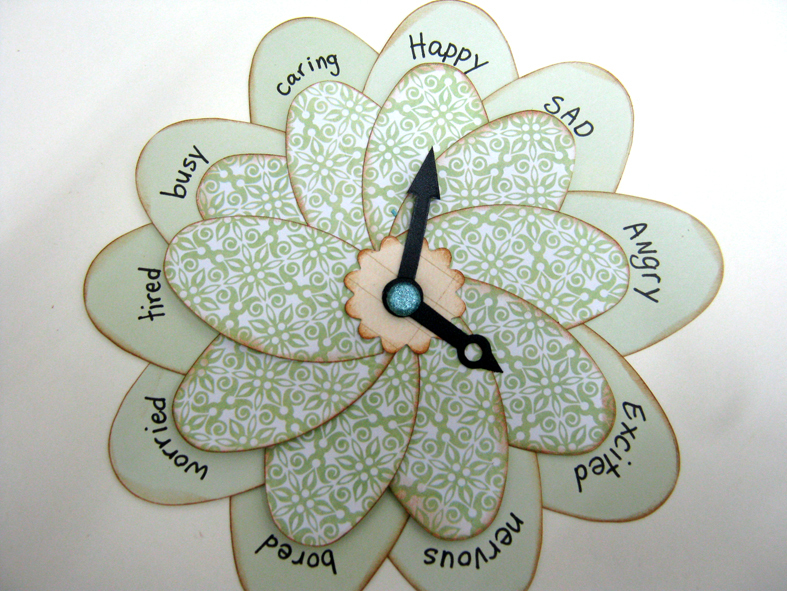 A mood clock- wow! This is a great invention for kids and husbands- get a patent Einat! Love how you are always thinking beyond what a product is "supposed" to be- which makes you an amazing designer. Thanks so much for joining us on the hops! Totally Cool Project! I love it! I agree with Eileen get a patent. So beautiful Enit. A little girl would love this! I love the papers! Great project. Great Idea. Really love the Clock, definitely something to try. I am still a little new at this but your descriptions, and photos are so clear that it will make it easy to reference to. 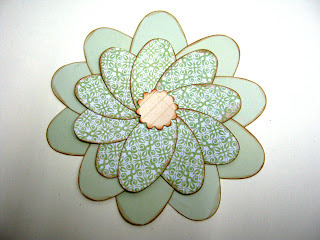 this will be my most challenging creation to tackle with my Big Shot Sizzix but I will give it my best.